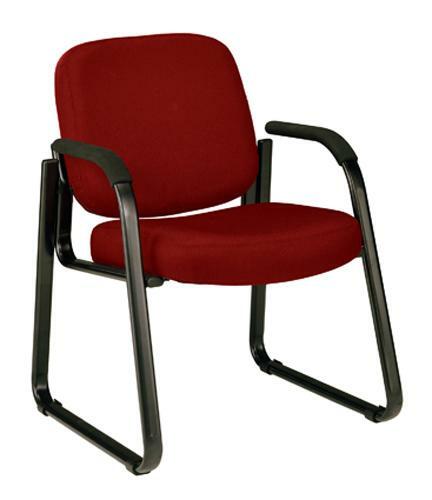 This guest chair is perfect for your reception room or waiting room. Sled base steel frames are strong and stable, and the smooth black finish resists scuffs. The vinyl or fabric covering is easy to maintain in high-use environments. The anti-bacterial, anti-microbial vinyl covering is great for keeping rooms germ-free! Easy assembly.